There has been no shortage of television shows about eccentric geniuses. Monk (2002 to 2009), House (2004 to 2012), The Mentalist (2008 to 2015) and Lie To Me (2009 to 2011) all fit the bill, as do any number of Sherlock Holmes adaptations and the new medical drama The Good Doctor, which debuts here later this month. The protagonists are typically as insufferable as they are brilliant - none more so, perhaps, than Sheldon Cooper, the theoretical physicist played with impassive perfection by Jim Parsons on The Big Bang Theory (2007 to present), which features a whole menagerie of such characters. The latter has been ratings smash, so it was only a matter of time before the creators cranked out a spin-off, Young Sheldon. Iain Armitage stars as a nine-year-old version of the character growing up in east Texas in the 1980s, with his inner monologue narrated by Parsons. 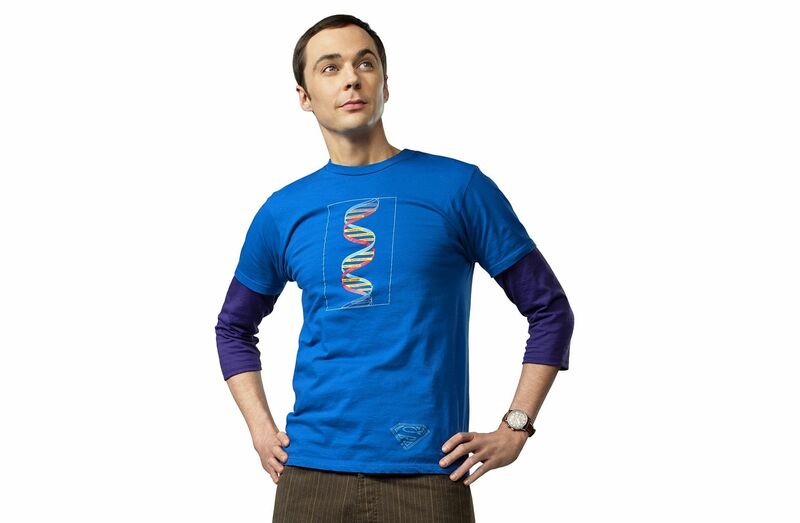 Sheldon is a neurotic oddball from young - a germaphobe unwilling to hold hands, constantly fearful and with the same hints of possible obsessive-compulsive or autism-spectrum disorder that The Big Bang Theory has been dropping for years. His outsize intellect is apparent too and compared to the isn't-he-weird jokes, these are the kinder laughs on the show. For little Sheldon, happiness is playing with his train set to prove Newton's first law and his cutting assessment of the intellectual gulf between him and those around him provides some great one-liners (his family's less-than-sparkling dinner chats are what led him "to adopt a mid-Atlantic accent because Nobel Prize winners can't be orderin' tater tots", he says). But as he prepares to start high school a few years ahead of schedule - much to the chagrin of his older brother, who will be in the same class - his neuroses are set on a collision course with the wider world and this is when you really start feeling sympathy for the boy. You also feel bad for his family: Sheldon is an instant outcast because he points out whenever anyone breaks the school rules, and brother George Jr (Montana Jordan) gets flak for this too. And parents Mary (Zoe Perry) and George (Lance Barber) are summoned after Sheldon tactlessly disputes his teachers' qualifications. But viewers will cheer for him anyway. We all love characters like this because they have no filter, no guile and express what we secretly wish we could too. The fact that he is a child makes audiences even more inclined to indulge it. Unlike The Big Bang Theory - a multi-camera show recorded in front of a studio audience - this is shot in single-camera format and thus has a more naturalistic feel in the vein of The Wonder Years (1988 to 1993). 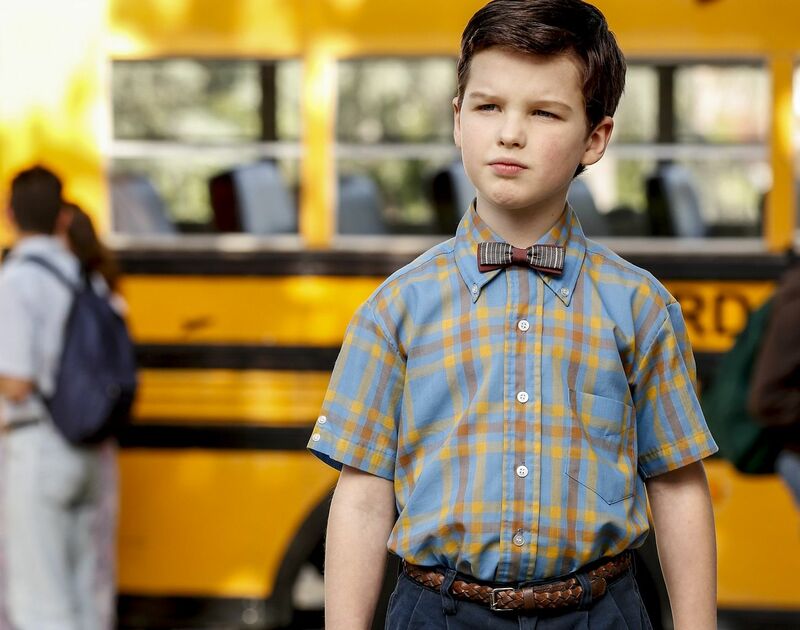 In the first episode, Young Sheldon shows glints of the same bitter-sweetness that made that coming-of-age series so beloved, especially when his automaton-like exterior melts and he shares tender moments with his parents. If the writers can continue to temper the awkward-genius caricature with compassion, they could be on to something interesting. 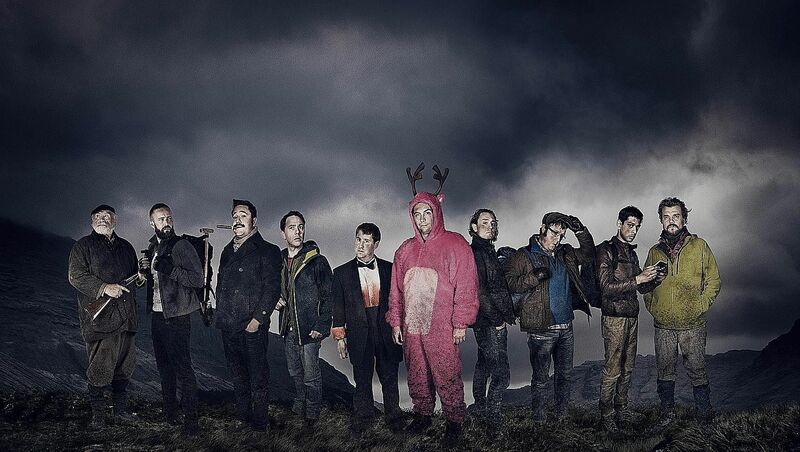 Stag, a murder mystery, also trades on a bunch of cliches - in this case, the ones that come to mind when you see a bunch of drunk British lads on a "stag do", the bachelor party weekend that has become a rite of passage in the United Kingdom (and the scourge of European cities these parties descend on). This is seen through the eyes of its odd man out, Ian (Jim Howick), a lowly geography teacher and the future brother-in-law of groom-to-be Johnners (Stephen Campbell Moore). He is forced to join the latter and his group of obnoxious male friends on a deer-hunting weekend in Scotland and, just when things cannot seem to get worse, the men are suddenly stranded and someone starts killing them one by one. There are some nice touches in this genre-bending series. On top of the suspense and gore, there is some very dark humour, which ranges from gross-out to absurd. The show also takes aim at investment-banker types from London - their sense of entitlement, bullying behaviour, toxic masculinity and obsession with social class - and the results are rather satisfying. But even though these are meant to be archetypes, some of the characters are so thinly drawn it feels lazy. Like many drunken bachelor parties, this whodunit, even with just three one-hour episodes, simply goes on for too long. By the second, you start wishing the killer would pick them off a little quicker.